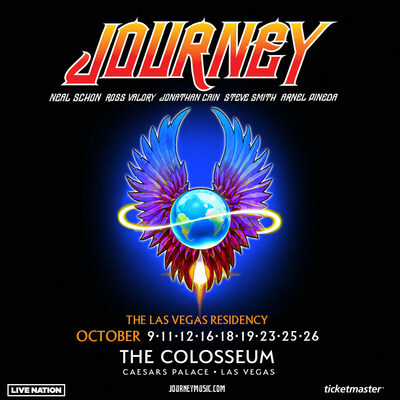 LAS VEGAS, April 15, 2019 /PRNewswire/ -- One of the world's greatest rock bands, Journey, is taking over the Las Vegas Strip this fall with a limited engagement inside The Colosseum at Caesars Palace October 9 – 26, 2019. Tickets will go on sale to the public Friday, April 19 at 10 a.m. PT. JOURNEY – Neal Schon (founding member and lead guitarist), Ross Valory (co-founding member and bassist), and longtime members Jonathan Cain (keyboardist), Steve Smith (drummer) and Arnel Pineda (lead singer) - is one of the most popular American rock bands of all time, creating some of the best-known songs in modern music, with iconic hits such as "Lights," "Faithfully," "Any Way You Want It," "Wheel In The Sky," "Separate Ways," "Who's Crying Now," and the seminal "Don't Stop Believin'," which is the top-selling digital catalog track in history. Since the group's formation in 1973, the band has earned 19 top 40 singles and 25 Gold and Platinum albums and has sold nearly 100 million albums globally. Their Greatest Hits album is certified 15 times-Platinum, bringing Journey into the elite club of Diamond-certified award holders. The band continues to tour and record into the 21st century, performing concerts for millions of fans worldwide, and received the prestigious Billboard "Legends of Live" touring award. 2018's massive co-headlining tour with Def Leppard was the band's most successful tour to date, landing them in the Top 10 year-end touring chart with more than 1 million tickets sold. In 2017, Journey was inducted into the Rock and Roll Hall of Fame. In March 2019, Journey released a live DVD/CD set from their concert at the Budokan in Tokyo, featuring the first-ever performances of the band's "Escape" and "Frontiers" albums in their entireties. Journey received a star on the Hollywood Walk of Fame, was inducted into the Hollywood Bowl Hall of Fame, and is the subject of the award-winning documentary, "Don't Stop Believin': Everyman's Journey." Live Nation Entertainment (NYSE: LYV) is the world's leading live entertainment company comprised of global market leaders: Ticketmaster, Live Nation & House of Blues Concerts, LN Media and Artist Nation Management. Live Nation Las Vegas produces residency shows from Journey and Mariah Carey at The Colosseum at Caesars Palace; Lady Gaga, Aerosmith, Janet Jackson and Bruno Mars at Park Theater at Park MGM; Blink 182, Billy Idol and Lady Antebellum at Pearl Concert Theater at the Palms; ZZ Top, Chicago, Earth, Wind & Fire, Steely Dan and Anita Baker at The Venetian Theatre at The Venetian Resort Las Vegas; and Gwen Stefani, Backstreet Boys, Pitbull, Def Leppard, Christina Aguilera and Florida Georgia Line at Zappos Theater at Planet Hollywood Resort & Casino. Live Nation Las Vegas also brings other world-famous artists to many of the city's other premier concert venues including T-Mobile Arena, Mandalay Bay Events Center, MGM Grand Garden Arena, House of Blues, Downtown Las Vegas Events Center, The Joint at Hard Rock Hotel & Casino Las Vegas, and more. For additional information, visit www.livenation.com. 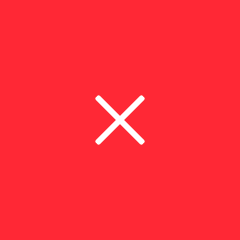 Find Live Nation Las Vegas on Facebook, Instagram and follow us on Twitter. World-renowned Las Vegas resort and a Top 10 "Best U.S. Casino" by USA TODAY 10BEST Readers' Choice, Caesars Palace features 3,980 hotel guest rooms and suites, including the all-new Palace Tower featuring 10 new luxury villas, the 182-room Nobu Hotel Caesars Palace and Forbes Star Award-winning The Laurel Collection by Caesars Palace. The 85-acre resort offers diverse dining options from the award-winning Bacchanal Buffet, to celebrity chef-branded restaurants, including the newest additions Gordon Ramsay HELL'S KITCHEN and from Giada De Laurentiis, Pronto by Giada, as well as Bobby Flay's Mesa Grill, one of Nobu Matsuhisa's largest Nobu Restaurant and Lounge, Restaurant Guy Savoy and MR CHOW. From restauranteur and television star Lisa Vanderpump, Vanderpump Cocktail Garden is the resort's newest hot spot, featuring craft cocktails, small bites and of course, Rosé. The resort also features nearly 130,000 square feet of casino space, including a recently renovated race and sports book boasting the largest screen on the Strip at 138 ft., a five-acre Garden of the Gods Pool Oasis, the luxurious Qua Baths & Spa, COLOR Salon by celebrity hairstylist Michael Boychuck, five wedding chapels and gardens, and the 75,000-square-foot OMNIA Nightclub with the top DJs such as Calvin Harris, Martin Garrix and Zedd. The 4,300-seat Colosseum, Billboard Magazine's "Venue of the Decade: 2000 – 2009," spotlights world-class entertainers including Celine Dion, Rod Stewart, Reba, Brooks & Dunn, Jerry Seinfeld and Mariah Carey. The Forum Shops at Caesars Palace showcases more than 160 boutiques and restaurants. Caesars Palace is operated by a subsidiary of Caesars Entertainment Corporation. For more information, please visit caesarspalace.com or the Caesars Entertainment Las Vegas media room. Find Caesars Palace on Facebook and follow on Twitter and Instagram.